A Stranger Things video game is coming our way. Last night, The Game Awards were held and it came with many big reveals for the gamer community to get excited about. 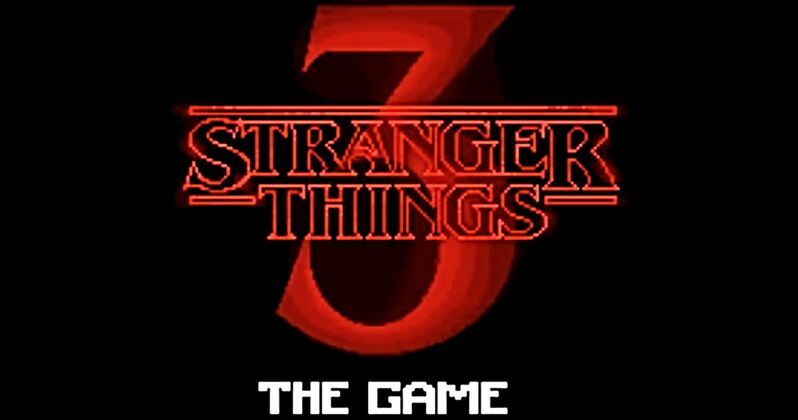 But it did give TV fans something as well, as series creators Ross and Matt Duffer were on hand to announce and reveal the first trailer for Stranger Things 3: The Game, which will tie in directly with the upcoming third season of the series, set to arrive on Netflix next year. The trailer reveals a 16-bit video game that is very much a throwback, in the way that Stranger Things itself is a fun nostalgia trip, in addition to being an excellent sci-fi series. Hopper looks like a total badass, taking care of business left and right. The kids are throwing grenades in a mall. There is lots of over-the-top, pixelated violence. This looks like a blast for anyone who grew up playing similar 16-bit beat-em-ups. Even those who perhaps don't watch the series could enjoy the game. The Duffers themselves even make an appearance at the end of the trailer. We know that Hopper will be going full Fletch in the new episodes, wearing disguises to infiltrate what is really going on inside Hawkins lab. Here, we see Hopper and Joyce teaming up to destroy the lab, with Demodog pups scurrying like rats. The game also takes us inside Starcourt Mall, which will be a main fixture from the series. We see Lucas fighting off motorcycle thugs using his trusty slingshot, firing small explosives at them. Lucas, Hopper and Joyce are also seen outside of the cineplex inside the Starcourt mall, fighting off the bad guys, indicating that we'll be getting some cool mall action when Stranger Things finally returns this summer. Hopper, Lucas and Joyce all run inside the theater for cover, which teases one pretty cool action scene set against the backdrop of an 80s movie as it actually plays out on screen. We know that this season takes place in 1985, and it will pay tribute to the movies from that era, as well as some of the greatest Mall movies of the 80s, like Dawn of the Dead (technically from the late 70s, but discovered by kids in the 80s), Fast Times at Ridgemont High, Chopping Mall, How to Beat the High Cost of Living and Weird Science. We know from leaked set photos that one of the biggest action set pieces towards the end of the season will take place at the mall, while the kids are shopping, as the army invades Hawkins. Steve, who works at the Chips Ahoy Ice Cream Shop inside the Starcourt Mall, will even be called into action wearing his goofy sailor's uniform. At the present time, Netflix hasn't released much information about the game. What we know is that it will tie in directly to Stranger Things season 3 and is being developed by BonusXP. The game will be made available on "all platforms," so be it the Nintendo Switch, Xbox One, Playstation 4, PC, or maybe even mobile devices (as that seems to fit under the all platforms umbrella), anyone who wants to play the game should have no trouble doing so. What hasn't been revealed by Netflix or BonusXP just yet is what the game will cost, nor has it been revealed precisely when it will be made available. But there's a good reason for that. The upcoming season wrapped production last month and is being finished up in the editing room as we speak. But Netflix hasn't yet revealed a release date for season 3. Since this game is going to tie directly into the new season, the streaming service won't want to reveal its release date before we even know when Stranger Things is going to return. With that, we're going to have to wait until next year to learn more about the video game. But we do know that it's on the way, and it looks like a blast. That's what's important. As fans may be well aware, this isn't the first time the strange events of Hawkins, Indiana, were being envisioned as a video game. Telltale Games was working on a Stranger Things game before the studio was closed down rather abruptly earlier this year. Many fans mourned what could have been but luckily, this new game could help fill the void. Stranger Things 3: The game and Stranger Things season 3 are both coming our way from Netflix in 2019 and we'll be sure to keep you posted as any additional details are made available. Be sure to check out the newly revealed trailer below.